Success is a combination of skill, effort and luck. Read on to find out what my cryptic rambling refers to! 09:00 on a bank holiday Monday, so what’s a guy to do? Silly questions deserve silly answers! It was eye-opening just how many fellow runners I saw out and about at the same time as me. Perhaps it’s entirely normal and it was just me running outside of routine? Or maybe people had deferred their Sunday runs to Monday, instead? This was a real challenge due to the unsurprising headwind I ran into. Despite my best intentions, I couldn’t draw any more speed from my legs without significantly ramping up the effort. Also not helping was the pair of Adidas Adios Boost 3 shoes I wore. In terms of value for money, I’d put over 450 hard miles on them from low-key races and faster training sessions. From about 400 miles onwards, significant portions of the outsole rubber began wearing away to reveal the Boost foam and propulsive plastic shank underneath, only adding to that dead feeling that shoes get towards the end of their useful life. I’ve now since retired the Adios Boost 3, though will look to seek out another pair for I’ve been genuinely very impressed by what Adidas have produced; sure, they’re not as flashy, light or gimmicky as some of Nike’s race shoe offerings, but they’ve been dependable and an utter joy to run in. Lis had spent much of the bank holiday away from home, visiting her family and friends back in south Wales. She only went and brought a cold back with her to coincide with me finishing the above 10 mile run! Any seasoned runner will tell you that the most critical time to pick up bugs is the 24-48 hour window after a hard run or race, so I didn’t like the look of my odds. Well, it seemed my fate was preordained for mild-cold symptoms did appear within 48 hours. All the tell-tale signs that I was coming down with something were present, for I felt lethargic and slightly feverish, and my lips became very dry. The real test was how I would fare on an easy paced run-commute (without bag) from the city centre. Whilst the pace was normal, my heart rate elevated and was easily 5-10% higher than normal by way of comparison. A little fitness test I have for myself is how quickly my heart rate stabilises after the Holders Lane climb from Cannon Hill Park; this outing took a significant chunk of time before my heart settled back down. The literal sweatfest continued on into Saturday’s 8thanniversary of Cannon Hill parkrun. 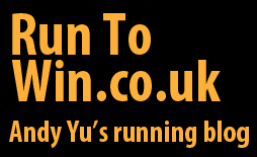 I declared to Simon that I only wanted an easy run, especially as I had the Wolverhampton 10k the following day planned as one final session before the Lake Vyrnwy Half Marathon. Simon and I became those guysagain, where we spent much of our run hovering at around 24 minute 5k pace, engrossed in conversation, whilst those around us were putting in 5k race pace efforts. We eventually made contact with Dave Sansom, one of the original Cannon Hill parkrunners from 8 years ago, pushing him on to meet his sub-24 minute goal for the morning. I finished completely sodden in sweat, with my 250 Club t-shirt doing a bad job of hiding this fact! Whilst I’ve historically missed every previous anniversary celebration, it did get me thinking that I’ve spent almost 7 years as a parkrunner, with 180 runs at Cannon Hill. Here’s to the next 7 years! And here’s the Strava data for this run. Needless to say, the race at half marathon pace didn’t happen. I said at the beginning of this post that success is a combination of skill, effort and luck. I’ve got the first two, but I always seem to run short of the third item, especially this year. As my PBs become harder to come by, so too does the frustration increase as more and more setbacks come my way. Thankfully, I’m more or less healthy again as I write this entry, so I will be making the 2 hour drive to Lake Vyrnwy to stake my half marathon claim. With a baby due very shortly, I’m no stranger to the fact that my priorities will change, and so I fully intend to adopt a laissez faire approach to running and see where I end up. This summer has sucked all the fun out of running and I’m looking forward to just being able to make it up as I go along for a while, enjoying it simply for what it is and not worrying about what it isn’t. Updated and all’s right with the world again! And we’re now all up to date! Boy, oh boy. I really could have passed on this recovery run for a rest day instead, but I was dead set on getting back into a rhythm for some consistency in the three weeks ahead of the Lake Vyrnwy Half Marathon. This was horrendous, where a poor choice of clothing (t-shirt instead of vest) and the combined humidity made for an incredibly difficult post-work run. Upon returning home, all of my kit was completely sodden in sweat and I was wiped out for the rest of the evening. Learning my lesson from the previous day’s suffer-fest in the humidity, I purposely put the brakes on to keep the pace and effort in check. Even then at such a pace, the humidity was still unbearable and made for a challenging time. And just like that, the humidity disappeared, allowing for 8 out of 11 of these miles to come in at 8:00 or faster. I very recently became a podcast interviewee! A number of months ago, I volunteered to participate in a running podcast project. Orchestrated by Tom Charles, he wanted to speak to and record the accounts of a variety of runners and why they decided to take up the sport-come-hobby. The angle for me was, unsurprisingly, this blog. In all there was well over an hour of recorded material, though this was distilled and edited down to just under 20 minutes. We all have little ticks and cues that we’re largely unconscious of in day-to-day speech and interactions with others, though these become glaringly obvious when captured for playback. Tom performed some black magic on the recording; upon my first listen of the finished episode, I had none of that, “Is that me? It doesn’t sound like me?” that so commonly plagues us when we hear ourselves recorded. Without further ado, here are the links to the episode and others in the series on iTunes and Spotify. The podcast should also appear in the search function for those that prefer dedicated podcast clients like Overcast etc. It’d been four weeks since the last time I ran at Cannon Hill, purposely going out of my way to avoid the off-road course. I was in no mood for anything fast, so keeping the pace down to under 20 minutes was more than sufficient for that morning. Keeping the pace controlled at the start allowed me to continually reel people in for almost the entire duration, making for a pretty comfortable effort even in humid conditions. With nobody in a rush afterwards, I partook in one of the longest post-run coffees I’d experienced in a very long time – one of the things I’d missed whilst busy visiting other parkruns. Cooler conditions made all the difference, making this long run feel spectacular. I settled into pace early on, which is often an indicator of how recovered I am, or not. Beyond halfway, I was able to steadily push the pace on whilst continuing to feel comfortable. The cooler temperatures stuck around, helping to make this recovery run stay very easy. The temperature decided to yo-yo upwards after several days of cooler climes. I wanted a more structured run with some focused effort at pace, though the warm and humid conditions would have taken far too much out of me, so a fartlek run was swapped in. Bridges and tunnels marked the beginning and end of fast sections, allowing for some stretches at effort to come at decent lengths. I felt the effort of the previous day’s fartlek run, forcing me to really drop the anchor and keep my heart rate below 70% of maximum on this run-commute from the city centre. Lis and I signed up to a series of NCT (National Childbirth Trust) classes, requiring I scheduled some time off from work to be able to get my planned runs in before the course. Running along the canals on a work day afternoon was rather peaceful, with most still clocked in. I did however bump into long-time running buddy, Ed Barlow, who like me frequents the canal towpaths for their convenience. Proving what a small world it is we live in, Lis and I met a couple on our first NCT class who belonged to Kings Heath Running Club, and were also Cannon Hill parkrun regulars. Another lady on the course, due to give birth at the beginning of October, is still running regularly! Sadly, there was no way to get a parkrun in before Saturday’s all-day class, so I had to make do with an easy recovery run around the neighbourhood. I will promise you all now that this blog will not devolve into a parenting blog, though I will write about how I will balance running and being a parent once the little’un comes along. I’ll be the first declare that I switch off when the Marathon Talk podcast presenters open each episode with what their kids have been up to – they could at least try and link it up with running, though very rarely is! It’d been absolutely ages since I last ran at a Great Run Local event, made even more difficult with The Vale on summer hiatus due to its student organisers returning home for the break. I’ve said it before and I’ll say it again: there’s room for both Great Run Local and parkrun to co-exist, and I’m grateful for both, especially as I needed a faster 5k fix after going without the day before. Almost timed to perfection to coincide with the bank holiday weekend, the heavens opened up for a damp start to proceedings. Lis kindly dropped me off at Edgbaston Reservoir so that I was able to avoid public transport or the monstrous mileage required to run there and back. A warm-up lap of the reservoir was enough to get me into the groove and was just enough to keep the cooler temperature at bay. Dave Carruthers of Cannon Hill parkrun regular attendance also appeared to give me a familiar face to speak to; the two of us were referred to in the organisers’ briefing as fine running specimens (not word-for-word accurate), so there was pressure that morning! Unsurprisingly, it was Dave and I straight off the line. I had the smallest of leads with Dave just nipping at my heels, confirmed by the sound of his footstrike. The pace wasn’t really coming to me with having to lead into the wind on the rough terrain underfoot. About a km in, the sound of Dave drifted further and further away until I was completely alone. As the rain persisted, my t-shirt grew heavier and heavier to add to the effort. Passing through halfway, the timer gave me some feedback; I had 09:45 on the clock, so only had to keep the effort consistent or better to guarantee a sub-20 finish. Somewhere around the third km, the pervading feeling of needing to piss haunted me again like it did back at the inaugural event in April! The cooler temperatures and standing around before the start had worked their magic once more… This was at least motivation to get things wrapped up as quickly as possible! I began to encounter lapped runners with a km remaining, giving me something to chase down. Dave was at least 20 seconds away, so I would safely finish in first place, though it was still dicey whether I would slip under 20 minutes or not. Glancing at my Garmin, the timer ticked over into 19:00 territory and I knew I had to get a move on – easier said than done on the reservoir path’s broken surface! Sprinting for the finish, the organisers cheered me in and then all quickly rushed around me to register my wristband. Here’s where the Great Run Local timing system comes across as a complete mystery, for I registered 19:42 on my own Garmin, the timer officially clocked me at 19:45 (confirmed by the results), and the official text message had me at 19:50?! The run for home from Edgbaston Reservoir was a solitary affair. I encountered very few people on the canal towpath, and only one other runner. A hot shower upon reaching home was never more welcome! Here and here’s the Strava data for these runs. Between this and its sister-race – The Gwent Race for Wildlife – this course is now my most frequented race. I had reasonable confidence of a PB opportunity going into this event. Only in 2017 did I fail to bag a PB, due to focusing my efforts on marathon training and acknowledging I’d lost too much top-end speed from injury earlier in the year. If there’s one thing runners will remember from 2018, it will be the weather. We’ll all look back in years to come and ask ourselves whether the snow or the sun robbed us! Going into this race, there was yet another elemental foe I was concerned about it for it wasn’t the sun, but rather the wind… Checking the forecast with great interest in the days beforehand, I watched aghast as the wind speed increased from a challenging 12mph to an all-bets-are-off 19mph! Given how flat the course is, facing a stiff headwind for much of the first half of the race would be akin to slotting in a climb or two, nullifying the otherwise perfect profile. In the days leading up to race day – a Saturday – I felt like I’d picked up the beginnings of something. I felt drained with no get-up-and-go to me, so I took the decision to sharply taper with no running at all for four whole days. The unscheduled break did me a world of good, for I felt pretty reasonable once again come race morning. Staring outside the window, all I could see were grey skies, swaying trees and rain to literally put a dampener on things. Over breakfast, I mulled over my race approach of pigheadedly going out at PB pace and hoping for the best, or going out conservatively into the windy first half and trying to claw back some of the damage in the second half with tailwind? The decision was yet to be determined and I decided to wait and consult with Darryll Thomas, who I’d cajoled into attending, for his outlook on conditions. With Lis and my mother-in-law in tow, we headed over to race HQ, which was once again a church and hence the Saturday race. The weather did not improve, for when Darryll and I went for our warm-up, we were almost brought to a standstill at times from the gusts we faced… I reasoned aiming for under 39 minutes would give me enough wriggle room to either ramp things up or dial things back, covering any eventualities. Assembling for the start, and almost by divine intervention, the poor conditions eased off dramatically for a break in the wind and rain. On the starter’s orders, we were off into the south Wales countryside. In those crucial few opening seconds, I opted to be pig-headed and went for it, seeing 3:24 per km flash up on my Garmin from time to time! After a few hundred metres, I scaled things back to PB pace and slotted myself into a small group of similarly paced guys. Just a few metres ahead of me was Darryll, doing the same. The effort was undeniably fast, though still felt just about in control, paving the way for an opening split of 3:46. A few guys from behind crept past me and I was left with just another chap. Thankfully for me, he had just a touch more strength at his disposal, so I was able to take shelter in his slipstream and allowed him to dictate the pace into the wind. The next group ahead included Darryll, though they were just a little too far from reach to reel in quickly without doing damage to ourselves. My companion agreed with me that we should have taken the opportunity to go with them when the gap was much, much smaller. Being the no-nonsense kind of race that it is, the only real novelty of the course is its flatness. As such, there wasn’t really much of anything to report on for 2km to 4km, other than the splits coming in at 3:50, 3:53 and 3:54. Reaching the return at Redwick Village, we felt the full force of the wind and boy was it ghastly! It was at least brief with a water station to take the sting out of a tricky km, coming in at 3:51 and halfway clocking in at 19:15. Hallelujah, for I was still in business! Another 19:15 and a modest PB was all mine! With a tailwind for some assistance – and you never fully receive back what was taken away by a headwind – the pace began escalating once more. Also helping to pull me along was the guy I spent much of the first half with, though he continued to just marginally creep away and eventually ended up with the remnants of Darryll’s small group before it broke apart. Speaking of Darryll, he found solace behind one of the (tall) guys that scooted past me from much earlier in the race. 6km and 7km were almost identical for 3:47 and 3:48. I could easily identify the effort was right up there to be 9/10. The sun had come out overhead to further add more stress to the mix. Prior to race day, I was going to have my father-in-law kindly be on standby with a few bottles of water at around 7km for Darryll and me. Based on that morning’s forecast, it was to remain wet and windy, so his services were not needed. The guest appearance from the sun was both welcome and unwanted in equal measure. I was kicking myself for turning down the offered assistance, for some water would have most definitely made the remainder of the race more tolerable. Approaching the out and back section, I saw second and third place exit just as I entered, with first place having already cleared through. I gave Darryll some encouragement to keep pushing, estimating him to be some 15 seconds ahead of me. Rounding the cone, I prayed that it was in the correct place and not overly wrong in either direction. One iteration of the race in its Race for Wildlife guise back in 2015 was short by almost 200m; I left empty handed that day, despite the certainty that I still would have recorded a PB over an accurate distance. Inevitably, the switchback cost me by a few seconds, due to the turning and the direction change back into the wind. I gave Tony Cover, a Strava buddy and a participant I drafted behind for much of the 2017 race, a high-five to break up some of the monotony. 8km and 9km came in at 3:54 and 3:53, so that break in momentum really did cost me some 10 seconds or so. With just a km remaining, some mental arithmetic reminded me that I was still just in contention of a PB if I could ramp up the pace, and if the distance was not overly long. 2017 clocked in at almost 70m too long, most likely due to the switchback cone being placed too far out. Alone, I began reeling in those ahead, including Darryll who had slipped from the pace ever so slightly. Anguish was written all over my face as the effort skyrocketed. I willed the right-hand turn to appear for it meant only some 300m remained. Lis and my mother-in-law appeared for some encouragement, shortly before my Garmin beeped with almost 50m remaining. Acknowledging that my finishing kick isn’t quite what it used to be, I thrusted my arms forward and threw my legs behind me as far as they would go for the finish line. It was nerve-wracking stuff! A warm-up jog with spectators clapping and cheering both Darryll and me on wrapped up a satisfactory morning. I still greatly dislike the 10k distance, where it’s just too far to go out hard and hang on like it’s a 5k, but not going out hard enough also means you can’t approach it like a half marathon that can be eased into. An unusually low mileage week, after several in the high 40s to low 50s. Slightly cooler temperatures made this 5k recovery feel like a breeze. Everything just clicked when it needed to. Without the wind, I reckon I’d have taken another 3-5 seconds off each rep. The slightly cooler temperature remained, making running with a bag on my back slightly more forgiving than it had been of late. Having said that, I was still shattered upon finishing and opted to take the following day as unplanned rest. I had a visit to Worcester Pitchcroft parkrun (my 28th different event) in my sights for a while, and this seemed like the perfect day for it on paper. I wanted a swift blast a week before the Magor 10k, with the low winds meaning a fast time would not be a fool’s errand. In a previous guise, Worcester Pitchcroft parkrun had a somewhat dubious reputation for being blisteringly fast, even with several switchbacks in play; it was concluded to measure a bit short and often produced runbritain SSS course condition scores with negative figures. This was remedied by altering the course to become almost 2x full laps of the path surrounding the racecourse. Unsurprisingly for a younger event that’s barely a year-old, there were only around 200 participants in attendance. Oddly, it’s also one of the few events I’ve been to where a large contingent of runners chose to wait next to the start line rather than listen in on the run briefing. With just 200 people, it wasn’t a crowded event and there was ample room on the start line for anybody that wanted to seed themselves higher to do so. I was caught off-guard by how fast the start was, with my Garmin registering in the 3:20s a few times during the opening couple hundred metres! There were people ahead of me that were definitely not going to finish anywhere near me, giving me a temporary crisis of confidence! Before too long, the field thinned out and I found myself in the unenviable place of no-man’s land. The next chap behind me was around 20 seconds away, whereas some 10 to 15 seconds ahead of me was a pair of teenage boys. I willed them to split apart and drift back towards me, but no joy. I continued on my own and began to take note of the varying terrain. Whilst most of the course is well-paved, there were some sections that were made up of broken path akin to that of Edgbaston Reservoir (a few hundred metres around the start area) and a short section of wood chips around 1km in. All of this added to my thoughts of the course not being as fast as billed, with Walsall Arboretum still ranking at the top in terms of being fast and locally accessible. As I neared the end of the first lap, my prayer had been answered and one of the youngsters in front of me broke off and began drifting back to me quickly. Once we made contact, I gave him some encouragement to stay with me – partly for some company, but also because I like to lend a helping hand where I can. He drew shoulder to shoulder with me, but his breathing was all over the shop; I told him we were going to run an even pace so that he could steady his breathing. Amazingly, the distance between us and the other teenage lad in front remained perfectly static with no growth or shrinkage. Pace-wise, we were right on target to dip under 19 minutes if we could keep things ticking along. With 1km remaining, the effort bubbled upwards. I continued to give my sidekick plenty of encouragement to stay on target; he occasionally slipped from the pace, but I always got him to draw level with me again. Once we reached 17 minutes on the clock, I started to give him time updates and suggested he begin wrapping things up if he was close to a PB. At around 200m remaining, he pulled ahead by a couple of strides to reach the grassy straight first out of the two of us. I continued to holler time updates until he crossed the line, with me 5 or so seconds behind. He was wrecked, but had enough breath to ask me what I registered. I showed him my Garmin, with 18:55 displayed, and suggested he had 18:50 or so to his name. He fist-pumped the air and let out a big, “Yeeees!” I asked him what his previous best was, which turned out to be 19:13 for a huge chunk taken off that morning. Next to us was the event’s PB bell; he seemed unsure of whether to ring it or not, to which I urged he definitely should as he’d earned it. He heartily rang the bell and thanked me before collapsing on the grass for a breather. I stuck around to talk to a few of the locals before wandering off to complete another lap of the course for a warm-down. Worryingly, I felt the same rush of nausea that I experienced a week prior after finishing Cannon Hill parkrun. I’ve chalked it down to good old fashioned heat exhaustion and, thankfully, I remained on the right side of the effort line to avoid an embarrassing situation! All in all, Worcester Pitchcroft parkrun was bitter-sweet. It wasn’t nearly as fast as I’d hoped for, but helping a fellow runner break new PB ground stopped the morning becoming a waste. I could feel my body waving a white flag from all the hard racing and training it’d been through. As such, I didn’t feel another 15 mile slog would be the most sensible of options, and instead opted for just 10 miles to Solihull and back. Also not helping was my fixation with hitting 7:30 miles. They felt reasonably effortless in the first half, which was net downhill and had a slight tailwind. The return, with its net uphill and headwind, was much more challenging on tired legs! Gah. Another two weeks rolled into one. The oppressive heat took its toll, even in the early evening. My average heart rate came out at 135bpm, compared to 130bpm for the same pace back in May. This particular week was slightly experimental because I wanted to rediscover what my body’s threshold is for tapering. The previous week’s 10x 400m session went down a treat, in spite of leaving me feeling quite nauseous upon finishing. Chopping the rep count down to 6x would inject just the right amount of intensity without overdoing things. Here’s the Strava data for this session. I took a day off from running on Wednesday due to work team-building activities. Whilst I declined the go-karting element, I happily partook in the steak dinner afterwards! Some of you will remember the injury I received from go-karting back in March, resulting in me abandoning a run at 4 miles to catch an Uber for home. With the Wythall Hollywood 10k just days away on the horizon at the time, I didn’t want to risk anything, though I did look longingly at the go-kart circuit as I’d have easily been a contender for first place that afternoon with my power to weight ratio advantage – the fastest guy of the day was still a stone heavier than me! With the above factored in, I shifted my week to run-commute on Thursday instead. I’ve written before about how challenging running with a bag on your back in elevated summer temperatures is. I become more easily dehydrated as my back continues to leach out sweat as my body desperately tries to cool itself down, to no avail. In the winter, the bag is a welcome addition as it’s an extra layer to fight off the cold! The conclusion so far was one day off from running did nothing to harm my form, as my glutes were still active. Whilst I had ambitions of running easy Thursday, Friday and Saturday, the final day never materialised as I was that damn tired that I treated myself to a lie-in. Running on Friday felt really weird. I can probably count on a single hand how often I’ve done it and I suspect many may be in a similar position, especially if they’re parkrun fiends like me. Temperatures continued to soar and take their toll on me. Whilst I originally set out for 5km, 2 miles was quite enough for me to keep my legs turning over and to stop my glutes from slumbering. Please click here for the full write-up. Much like the last couple of Mondays following heat-compromised races, my body felt pretty good from the capped efforts of the races beforehand. My form also felt on point from the prolonged exposure of faster running only a day prior. So, what conclusion did I reach regarding tapering? My body loves running and taking more than a day off from it is counter-productive due to a temporary loss of finesse; I’m sure we’ve all had the Bambi on ice feeling after a longer than intended layoff, no? Running an easy 5km or so on the Friday before a race seems to keep everything ticking over and in check for me. I’m still unlikely to cover a parkrun at an easy pace the day before an important race, though I will now consider it before a tune-up event. The temperature dropped slightly, making this session feel a tad easier than it had in the past. My form continued to feel super-charged from the 400m session, even at what was only recovery pace as I ran for home with a bag on my back. The humidity got the better of me as I battled my way from the office for home along the canal towpaths. It’s so energy zapping! My breathing and heart rate were largely fine, though each step felt like a real struggle. The climb on Fordhouse Lane nearly finished me off! Normality ensued at Cannon Hill as the whole gang came together to celebrate Alex’s 100th run – even Nigel, who’s been nursing an Achilles injury. Whilst I didn’t intend to end up racing, the red mist was too powerful to decline. After 1km on my own, I ended up tailing Dave, as he was wont to do to me once upon a time. I stuck to him like glue in spite of his best efforts to lose me. We remained in sequence until making contact with Andy Young, who prompted me to take the lead and overtake a large group of runners ahead of us. I took his challenge on and surged clear of him and Dave, gaining what felt close to 10 seconds in the process. Little did I know that Dave had anticipated when I might make a move; by his own admission, 3km would have been the ideal point to secure victory, owing to his endurance deficiency over longer distances. He caught me with perhaps only 300m remaining. I had no response on that particular morning, already elbow deep into a 50+ mile week with a race every fortnight behind me since early May… I had just enough inside me to sneak back in for 18:59, when just a 19:30 would have been satisfactory. I get a huge kick out of long runs; there’s something masochistic about a training run that lasts for hours, especially when conditions are less than ideal. There’s a real sense of satisfaction derived upon completion that I don’t seem to receive from other staple runs in my week. McGuyvering the hell out of staying cool on the run! Anticipating a warm one, I tried a new hydration trick that came to me like Thomas Edison imagining the light bulb. I part-filled my runner’s bottle the night before and threw it in the freezer to set. Just before heading out the door, I filled the remaining empty space with cold water and added an electrolyte tablet. And voila, I had a makeshift hydration tool that kept my hands cool for the first 30 minutes or so whilst the ice melted, turning into cold electrolyte liquid for the remainder of my run. Starting off cool is one thing and hanging onto being cool is another thing entirely. Try it for yourself! Heading out a few hours earlier than usual, I was surprised to see so many who also had the same idea. Passing through a tunnel, I could hear somebody closing in on me very quickly; were they running an interval session (unlikely on a Sunday), or were they trying to catch-up to me? To my surprise and delight, it was Ashley Fawke – fellow Cannon Hill Crusader – out on his long run. We chatted for a little over a mile, where you can clearly see his pace nosediving, via Strava. Whilst only brief, it’s always fascinating to speak to a significantly faster runner than me, where Ashley confirmed my own thoughts on several topics. Once through halfway, I still felt good from the ample shade and lower temperatures, and decided to progress the pace. It’s a strange day when you can run up a hill faster than you can run down it; I inadvertently ran a PB on the Fordhouse Lane climb segment!